First he studied in Ia﻿şi, then in Bucharest under Giuseppe Cima. In 1885 he made his debut at the National Opera in Bucharest in the title role in G. Verdi's ‘’Ernani’’. After further studies in Milan with famous pedagogue Francesco Lamperti, he sang with great success at the Teatro Filodrammatico in G. Verdi's ‘’Rigoletto’’ and ‘’Trovatore’’. 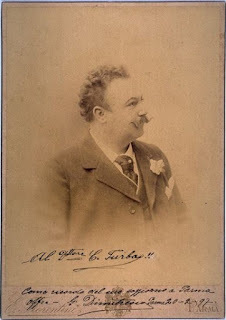 In the 1888-1889 season he undertook an Australian tour as a member of Italian opera company. In 1890 and 1892 he had a huge success at the Covent Garden Opera in London; here his repertoire included Don Ottavio in ‘’Don Giovanni’’, Enzo in ‘’Gioconda’’, Radames in ‘’Aida’’ and José in ‘’Carmen’’. In the 1890-1892 seasons he was a member of the Carl Rosa Opera Company, which made guest tours through England. Later he made guest appearances in Barcelona, Zurich (1901), Warsaw, Kiev, Moscow and St. Petersburg. His interpretation of Vasco in ‘’L'Africaine’’ and Raoul in ‘’Huguenots’’ was considered unsurpassed and compared to Enrico Tamberlik’s interpretation. He retired from the stage in 1912. Probably he committed suicide. Dimitresco never made records.